With the years of experience in this domain, we are able to present a quality approved gamut of Rigid Strapping Tape. 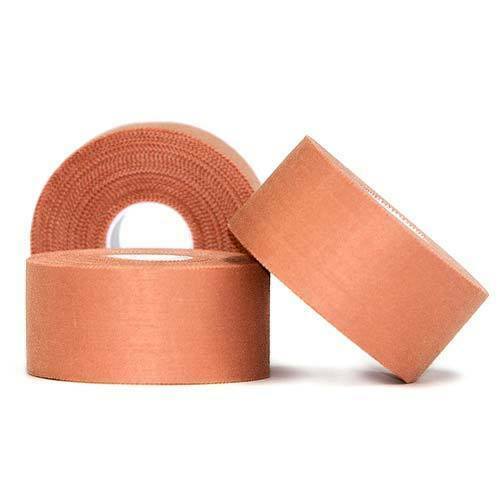 Our offered tape is used to give support to the joints during high-stress sports activity. As per the set industry standards, this tape is designed under the guidance of experienced professionals who have years of experience in the domain. Before dispatching delivery at our clients' end, this Rigid Strapping Tape is duly inspected against diverse measures of quality to ensure its quality. Devaltex Industries was started in 2007 as Manufacturer, Exporter and Trader of Heat Resistant Rubber Thread, Name Elastic, Fabric Label, Knitted Elastic, Fusing Sticker and many more. With our production, delivery, trade and export of supreme quality product range, we have developed as the most reliable company in this industry. We have gained excellence in various fields and made our customers satisfied and happy with our services and product range. Our product line is eco-friendly in nature and remarkable with its durability and comfort. Our customized product range is getting along with the needs and the demands of our customers. We export our products in Middle East Countries.